This article is about the original Didact, encountered in Halo 4. For the secondary Didact responsible for activating the Halo Array, see IsoDidact. "The peaceful one is at war without and within." The Didact, born Shadow-of-Sundered-Star, is a Forerunner Promethean who held an extremely high status in the Forerunner society as protector of the ecumene, head of the Warrior-Servant rate and supreme commander of the entire Forerunner military. He wholeheartedly believed in the Mantle the Forerunners held to protect life, and fervently opposed the Halo Array as a sin beyond measure. He was also the lover and husband of the Librarian. Originally thought to have been killed by the Master Builder, Faber, the Didact effectively existed as two individuals during the final days of the Forerunner-Flood war; his original self, as well as his implanted consciousness within a young Forerunner known as Bornstellar Makes Eternal Lasting. To differentiate these two incarnations, the original Didact was referred to as the Ur-Didact, while his other incarnation was known as the IsoDidact. The Ur-Didact was eventually exiled on Requiem, not to be awakened until 2557; meanwhile, the IsoDidact served until the final days of the Flood conflict and was responsible for activating the Halo Array. After being released from his Cryptum many millennia later, the Ur-Didact resumed his war against humanity. Spartan John-117 and Cortana fought him on his ship, and sent him falling into slipspace, seemingly defeating him. After surviving slipspace, John-117 faced him again, this time with the rest of Blue Team. After a long and perilous battle, the Ur-Didact's biological form was destroyed under the combined power of several Composers. While he is considered "contained" by the Office of Naval Intelligence, his digitized consciousness apparently survives. Born Shadow-of-Sundered-Star, the Didact was a Promethean, a member of the highest and most powerful class of Warrior-Servants. He was trained by Bitterness-of-the-Vanquished, a legendary Promethean far older than the Didact himself. Early in his career, the Confirmer provided Shadow a brevet mutation to a new form. He gained the name "Didact" while teaching at the College of Strategic Defense of the Mantle; his students gave him the name because they found him to be a strict and demanding teacher. As a cadet, he apprenticed on Deep Reverence. The Didact was elevated to the rank of protector of the ecumene around 2,000 years before the war with the humans. He had a romantic relationship with another Promethean commander, known as Endurance-of-Will, and would most likely have married her had he not met the Librarian, a Lifeworker. Despite the unconventional practice of marrying outside one's own rate, the Didact ultimately married the Librarian. They lived on Nomdagro, a world populated mainly by Warrior-Servants, in a mansion designed by the Didact himself in a grandiose style traditional of Warrior-Servants. They had several children, all of whom followed in their father's footsteps and became Warrior-Servants. "My finest opponent, the Mantle accepts all who live fiercely, who defend their young, who build and struggle and grow, and even those who dominate — as humans have dominated, cruelly and without wisdom. But to all of us there is a time like this, when the Domain seeks to confirm our essences, and for you, that time is now. Know this, relentless enemy, killer of our children, Lord of Admirals: soon we will face the enemy you have faced and defeated. I can see that challenge coming to the Forerunners, and so do many others... And we are afraid." The Didact's form for the majority of his career. During the human-Forerunner wars, the Didact led the Forerunner military against humanity. His personal command vessel, Mantle's Approach, was also built during these conflicts. His method of carrying out campaigns in interstellar war involved a strategy referred to as "star-hopping", isolating and besieging points of strategic importance while ignoring any less significant targets. He was also known for favoring the fleet spiral formation in space engagements. As they pushed back human forces in the galactic margins in the later phases of the war, the Didact's fleets came across thousands of worlds infested by the Flood, which was already retreating from the galaxy. Though some Forerunner fleets were lost in the first encounters with the parasite, the Didact's forces eventually managed to sterilize all of the remaining infestations. Though all of the Didact's children died in the war, the Forerunners were victorious; humanity was devolved and quarantined on their home planet of Erde-Tyrene, a fate which the Didact found to be just and fitting. After the final battle of Charum Hakkor, he and a group of Prometheans, including the Confirmer, discovered a stasis capsule on Charum Hakkor which contained the Primordial, the last of the Precursors. After a brief exchange with the Primordial, the Didact sealed its timelock for nearly the next ten thousand years. He revealed what the Primordial had spoken to none, not even the Librarian. After the war, the Didact issued the construction of several monuments near Sothra Hakkor to honor the fallen warriors that died during the war. Following the end of the war and the first discovery of the Flood, he advocated a policy of vigilance and research in the event of a Flood resurgence. He also proposed the construction of significant numbers of shield worlds across the galaxy in order to monitor the galaxy for Flood outbreaks and provide military support should they occur; this strategy was to involve the characteristic star-hopping tactics he had utilized in the war with humankind. However, a faction of Builders led by Master Builder Faber-of-Will-and-Might proposed the construction of a series of superweapons to deal with the Flood instead; the Didact viewed these weapons as an affront to the Mantle. Although the Didact and his Promethean allies managed to delay the construction of the Halos for several thousands of years, the Master Builder was eventually successful in convincing the Council to sanction their plans. The Didact's defeat was finalized around 98,445 BCE, when the Juridicals ruled against him. He was forced to stop his ongoing construction of shield worlds and was ordered to turn over all his records and submit to the authority of the Master Builder. He refused, and was stripped of his power and forced into exile as a result. The Didact last met his wife in their family residence on Nomdagro. Forced to enter a Cryptum, he was led into meditative hibernation in a ritual overseen by an associate of Haruspis. During his last meal with the Librarian, the Didact expressed hope in her abilities of foresight and hoped the humans under her care would not disappoint her. "All we have tried to do as inheritors of the Mantle — all that will be violated, and the galaxy will be murdered... because they do not understand. Worse, it may already be loose. Join your human friends and sing sad songs, Manipular. There is judgment, and just doom is upon us all." — The Didact to Bornstellar after his awakening. Djamonkin Crater, the resting place of the Didact's Cryptum on Earth. The Didact's Cryptum was later placed by the Librarian in Djamonkin Crater on Earth to hide it from the Master Builder and his allies and allowing her to carry out her own plans unobstructed. The war sphinxes containing the last essences of the Didact's children were placed to guard the Cryptum. Over one thousand years later, he was discovered and revived by a young Forerunner Manipular, Bornstellar Makes Eternal Lasting, who had come to Earth in search of Precursor relics. The Didact, while greatly displeased by his revival, deduced that it had to be the work of his wife. The Didact's awakening summoned a fleet of Forerunner ships in the area, but they were unable to pinpoint his precise location due to a baffler that cloaked the crater's central region. Instead of turning himself in, the Didact made a timely escape using a ship constructed from a design seed planted in the crater's central mountain by the Librarian, taking Bornstellar and the Manipular's human guides, Chakas and Riser, as well as his war sphinxes, with him. Seeking to find out what had happened in his absence, the Didact set course for Charum Hakkor, where he discovered that one of the Master Builder's Halos had already been tested, eradicating all sentient life, as well as Precursor structures, in the system. Upon landing on Charum Hakkor, the Didact discovered that the Primordial had escaped from its timelock and was nowhere to be found. For Chakas and Riser, visiting Charum Hakkor stirred ancient memories which had been imprinted in their genetic material by the Librarian. Intending to trigger more of these memories, they traveled to the system where the San'Shyuum, once humanity's allies, had been quarantined after their defeat by the Forerunners. Before arriving in the San'Shyuum home system, the Didact performed a brevet mutation on the young Manipular to allow him access to the Domain. With the mutation, the Didact transferred his imprint—containing his consciousness, along with all of his memories and knowledge—to Bornstellar, although they would not awaken within the Manipular until later on. Shortly afterward, they arrived in the San'Shyuum system and met with the Confirmer, one of the Didact's Promethean comrades, on the Fortress-class vessel Deep Reverence, in order to gain access to the quarantined region of the system. However, in orbit over Janjur Qom, the primary San'Shyuum world, the Didact's ship was intercepted and dismantled by the Master Builder's forces who had been present in the system quelling a San'Shyuum rebellion. The Didact and the others were taken prisoner; in the subsequent interrogations, the Didact refused to divulge information on the shield worlds or the control codes for the Contender-class ancillas. Although other Forerunners, including the Librarian, believed that the Didact had been executed, the Master Builder had in fact left him, along with a number of other Forerunners, to die, confined in stasis bubbles in a derelict ship within a Flood-controlled system. Meanwhile, the Didact's personality imprint in Bornstellar's body took full control of the Manipular, effectively making him a copy of the Didact. After surviving the assault by Mendicant Bias on the Capital, Bornstellar reunited with the Librarian on the greater Ark. In the absence of the Didact, Bornstellar—now known as the IsoDidact—resumed the Didact's duties as supreme commander of Forerunner military due to the present threat of the Flood. An unknown period of time (which the Didact suspected to be at least a year) after his capture, the Didact was released from his stasis bubble due to a power failure. Assessing his situation, the Didact soon found that he was aboard a barely functioning hulk, without armor or weapons. Soon, he encountered Sharp-by-Striking, one of his Prometheans who, like many other Warrior-Servants, had chosen to join Builder Security since the Didact's exile. Sharp explained that they were deep within a Burn, a region of space controlled by the Flood. As they explored the hulk, the two Prometheans discovered stasis bubbles holding two more Forerunners. Destroying the fields with their brute strength, they released the other prisoners, which turned out to include a high-ranking Builder named Maker-of-Moons and Catalog, both of whom had been found problematic by the Master Builder who had disposed of them as a result. After Maker told him that she had helped design the Halos, the Didact erupted in a maniacal burst of laughter while pounding his fist on the bulkhead; the other Forerunners regarded this with bewildered revulsion, as laughter was considered barbaric per Forerunner social standards. Making their way to the bridge, the Didact and the others managed to gain minimal control of the ship and assess their surroundings. They were approaching a planet recognized by the Didact as Uthera Midgeerrd, which was revealed to be infested by the Flood, while a Flood-controlled fleet was bearing on their ship. Additionally, the ship's sensors detected an unknown object approaching them at a high velocity. As it moved closer, the object was identified as a strange bundle of reactivated Precursor star roads, no longer inert and unresponsive as they had been for millions of years. As the Precursor artifact approached, the Didact decided to stay aboard the ship, determined to gain answers with the knowledge that even if he perished, his duplicate would continue his work. Catalog chose to accompany him while the other two Forerunners would attempt to escape the ship as it self-destructed. Before leaving, Maker-of-Moons gave the Didact her armor as a sign of respect. "This quest to fulfill the Mantle has haunted me my entire life. And for countless millennia, we have failed to realize the one truth that could have saved us from the beginning. The Mantle isn't to be inherited by the noble, it is to be taken by the strong." — The Ur-Didact announces his new beliefs to the IsoDidact. The Didact and Catalog were swiftly taken prisoner by the Flood fleet converging on the ship. The Didact, completely immobilized in stasis by a powerful grappler field, was taken to a Flood-controlled ship and confronted by the Gravemind, recognized by the Didact as the same intelligence as the Primordial, which he had interrogated ten thousand years prior. The Gravemind invaded the Didact's mind and inflicted upon him unspeakable mental torment in a process described by the Didact as more of a malediction than a conversation. The Didact's sanity and morality was severely shaken by this encounter. However, the Gravemind did not intend to kill or infect the Didact, instead turning the Forerunners' greatest warrior into an unwitting pawn to sow chaos in the remains of the ecumene. Thus the Gravemind released the Didact and left him aboard an empty spacecraft, intentionally sending the ship where the Master Builder—who had been salvaging any ships he found in his own operation to combat the Flood—would find it. Meeting with Faber, the Didact delivered him a painful message from the Gravemind, taunting the Master Builder with the suffering of his family who had been absorbed into the Flood collective. Seemingly taking pleasure in conveying the news to his old enemy, the Didact stated that Faber and his Halos were to blame for their predicament. Faber delivered the Didact to the core of the ecumene, where both were deposed by the Juridicals. Against his strongest objections, the Didact (now differentiated from the IsoDidact with the title "Ur-Didact") was forced to recall his encounter with the Gravemind—which he had managed to partially shunt away from his memory—as part of the interrogation, dealing further damage to his sanity. The Ur-Didact, accompanied by a fellow Promethean, after undergoing a failed procedure to gain an immunity to the Flood. The Ur-Didact's privileges were subsequently restored, although the IsoDidact remained in command of the ecumene's military. Cast aside by the ecumene at large, the Ur-Didact returned to Requiem, where he continued his own mission against the Flood's onslaught. Convinced that his old strategies were no longer workable now that the Gravemind had learned everything, he desperately began to devise new methods of combating the Flood—going so far as applying the philosophy of the enemy. Failing to decipher Flood immunity via other means—including an experimental procedure which left him disfigured—he acquired a Composer, a machine once designed to rid Forerunners of Flood infection via converting their essences to digital form, but abandoned long since due to several functional defects. In full agreement, the Ur-Didact's fellow Prometheans all pledged to be composed, relieving them of biological form; the Didact did not subject himself to Composer processing, as his new form was incompatible with the device. The Ur-Didact then used the Composer to make his Prometheans completely immune to Flood infection by combining their composed essences with powerful war machines, known as "Promethean Knights". Although these new warriors scored an isolated victory against a Flood-infested fleet, it soon became apparent that their numbers were too few to halt the parasite's continued advance, leading the Ur-Didact to consider other options to expand his army. "The Halos? Violating the Mantle all over again, with even greater destruction! Wiping out all intelligent life across this galaxy! By itself that proves you are a poor version. You’ve altered your strategic vision... Don't you feel the truth of it? We gave the Precursors reason to retreat into madness. A passion for vengeance. And the Gravemind gave it all right back to me. I am filled with that passion, that madness, that poison! If we fire Halo, we lose everything." — The Ur-Didact responding to the IsoDidact's changed views on the Halos. Four years after his return to the ecumene, a meeting was arranged between the Ur-Didact, the Librarian and the IsoDidact. The three gathered in the Didact's and Librarian's family domicile on Nomdagro, now ravaged by Council agents looking for evidence of possible crimes. The reunion soon turned out to be less than a happy one: the Ur-Didact, his perceptions and views distorted by his madness, began to argue with both the Librarian and his own duplicate that the latter's actions and methods endangered the Forerunners and new, more extreme strategies had to be adopted in order for the Forerunners to survive. The Didact had deduced that the Flood had consciously favored humans by deliberately receding ten thousand years earlier and that they were specifically targeting Forerunners as an act of revenge. By extension, he came to the conclusion that the Librarian's favoring of humanity was a goal shared by the Flood—something he saw as a profound betrayal. The Ur-Didact took off to brood in a desolate region of Nomdagro, near the planet's only Precursor artifact, where he was soon joined by the IsoDidact. In the resulting exchange, it became apparent that the two Didacts had diverged into very different individuals indeed, with the original only finding fault in the IsoDidact and accusing him of being a poor copy of himself. While the IsoDidact had begun to realize the inevitability of having to use the Halos to halt the Flood, the Ur-Didact was adamant in his opposition, now further reinforced by manipulation by the Gravemind. Before the confrontation could turn physical, the Flood was detected approaching the planet. The two Didacts took off into orbit in their own ships as millions of Flood dispersal pods rained down upon Nomdagro. As the IsoDidact and the Librarian departed toward the greater Ark, now the last remaining defense of the ecumene, the Ur-Didact followed in his personal flagship, Mantle's Approach. "No longer a Promethean. No longer a Warrior-Servant. A traitor!" The Ur-Didact, surrounded by his newly-created Promethean Knights. At the greater Ark, the Ur-Didact remained on station aboard the Mantle's Approach, not leaving the ship even to attend the Forerunner commanders' emergency conference. He was briefly visited by the Librarian, who was further horrified by what her husband had become. As the greater Ark fell under siege by the Flood and star roads, the Ur-Didact expressed no desire to partake in its defense, cryptically stating that he would leave after he had finished his task. The Ur-Didact's plan was revealed during the ensuing chaos, when he took Mantle's Approach—supported by thousands of sentinels under his control—to the nearby Omega Halo and used the Composer to harvest the installation's entire human population—the bulk of what remained of the Librarian's human specimens. The Librarian attempted in vain to stop him, but her ship was effortlessly shunted aside by a torsion field projected by Mantle's Approach. The Ur-Didact returned to Requiem, where he would implant the human essences into hundreds of thousands more Promethean Knights, bolstering his mechanical army. In his maniacal scheme, the machines would eventually defeat the Flood, and Forerunner remnants would unite under his leadership with Requiem as the center of their power. Once the parasite would be rooted out, the Ur-Didact would carry out a campaign to eradicate humanity and all other "suspect" species which might potentially threaten the Forerunners' hold of the Mantle. The Librarian, devastated by the loss of her humans, followed the Ur-Didact to Requiem with the intent of imprisoning him. By this point, only one of the Didact's loyal Prometheans remained uncomposed; Endurance-of-Will, the Didact's former lover who now served as his top lieutenant. Although Endurance was at first seemingly supportive of the Ur-Didact, her confidence was little more than a facade; she eventually agreed with the Librarian that the Didact was no longer fit to lead the Prometheans and should be exiled in a Cryptum. The Ur-Didact's Cryptum in the core of Requiem. The Ur-Didact, lulled into a sense of security within his greatest fortress, was then confronted by the Librarian aboard the Mantle's Approach. After a brief exchange, the Librarian incapacitated the Didact through force and placed him in a combat Cryptum previously maintained on Mantle's Approach. Sealing the Cryptum in the core of Requiem, the Librarian hoped that the Ur-Didact would spend his time in meditation reflecting upon his past misdeeds, and that the damage wrought on his mind by the Gravemind would be corrected with the aid of contact with the Domain. Eventually, once awakened, the Didact might help humanity ascend to be the new caretakers of the galaxy by educating them on the Mantle as well as the Forerunners' technological achievements with the Janus Key. The Librarian sealed Requiem and took over the Promethean Knights stationed there, giving them orders to prevent the Ur-Didact from being reawakened until his meditation was complete. However, at the close of the Flood war, the Librarian learned the Domain's true nature as a Precursor creation, and that by activating the Halo Array, the Domain would be lost along with all Precursor architecture. As the Halo Array was fired, the Domain was evidently destroyed and as a result, instead of his mind being healed in his meditation, the Ur-Didact would spend the next 100,000 years in complete silence, dwelling on his own insanity and rage. "Time was your ally, human, but now it has abandoned you. The Forerunners... have returned." — The Ur-Didact to John-117, declaring the return of the Forerunners. On July 21, 2557, the wreckage of the UNSC frigate Forward Unto Dawn, carrying Spartan John-117 and his AI companion Cortana, arrived in the orbit of Requiem, where they were intercepted by a fleet of Covenant warships led by the Sangheili Jul 'Mdama. Though the Covenant had been denied access to Requiem's interior for three years, an entrance portal opened after scanning the Spartan and pulled all nearby ships inside. After landing, both the Spartan and the Covenant forces faced fierce opposition from the occupying Promethean constructs, until eventually discovering the Ur-Didact's Cryptum on what John and Cortana originally thought to be a communications relay satellite. Even in his imprisoned and hibernating state, the Ur-Didact appeared to be in partial control of Requiem's systems, being able to manipulate UNSC Infinity's signal to lead John-117 to Requiem's core and release him, or hinder Cortana's attempts to access a local Cartographer. Inadvertently awakened by John-117, the Ur-Didact emerged from his Cryptum and immediately retook control of his Prometheans. Easily disabling John with his powerful abilities, the Didact taunted the Spartan for releasing him, stating that his "nobility had blinded him, as ever". Ignoring the Librarian's plan for him, he declared the return of the Forerunners as the galaxy's rulers and saviors, and that humanity should not be allowed to attain the Mantle. He then tossed John aside and escaped Requiem's core using a slipspace rupture. Soon after, the Didact also allowed Jul 'Mdama's Covenant forces to join forces with him and his Promethean armies against humanity, despite regarding the Covenant as little more than "beasts" and "primitives". John and Cortana immediately recognized the danger posed by the Didact and after the Infinity had crash-landed on Requiem, they attempted to convince Captain Del Rio of the Infinity to take more drastic action against the Forerunner before he regained his full strength. However, Del Rio instead opted that they leave Requiem as soon as possible, leaving John and an increasingly rampant Cortana facing the Didact by themselves. Between July 22 and July 24, the Didact repeatedly contacted Catalog via a node located on Mars and asked to take control of the ecumene; Catalog rejected his requests. The Ur-Didact, intending to acquire the Composer once again and fulfill the plans he had laid 100,000 years prior, began make preparations for his departure. While doing so, he stationed his combat Cryptum amidst a series of towers jutting from Requiem's outer shell. John-117 and Cortana disabled nodes generating a shield around the Cryptum, but before they could engage the Didact directly, preparations for his ship, Mantle's Approach, were completed. The Didact entered his massive command vessel aboard his combat Cryptum, exited Requiem's outer shell and set course for Installation 03, escorted by numerous Covenant Lich and Phantom craft. As the Master Chief persisted in his attempts to stop the Didact, the Promethean addressed the Spartan telepathically several times and gradually came to be greatly impressed by his opponent. The Didact facing down John-117 on the Mantle's Approach. "Humanity's imprisonment is a kindness." — The Ur-Didact to John-117 during their confrontation on Mantle's Approach. — The Ur-Didact upon seeing Black Team on Installation 03. 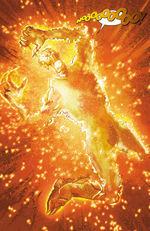 The Ur-Didact immediately after the attack on New Phoenix. Unknown to the UNSC, the Didact survived his fall into the slipspace fissure. Hurtling through the portal along with a number of his Promethean constructs, he crash-landed on Installation 03 near the Composer's original location, the Composer's Abyss. Shortly after his arrival, he was discovered by Spartan Black Team, all of whom he quickly and brutally slaughtered upon regaining consciousness. The Didact was soon confronted by 859 Static Carillon, the monitor of the Composer's Forge and the keeper of the Composers, who had arrived on the Halo to investigate the recent activation of a service portal leading to its installation. The Didact asked the monitor to take him to the Composer's Forge, where he established a base in a deserted Forerunner city. He requested Static Carillon to deliver him a slightly damaged Halo installation, which he planned to repair and use as his final instrument of vengeance against humanity in spite of his earlier opposition to the Halos. In return, the Didact told the monitor he would cease his creation of Promethean Knights from composed humans and that he would not bring them to the Composer's Forge, as Static Carillon considered the constructs "abominations". The following day, on July 26, Static Carillon informed the Didact that a Spartan team led by John-117 had arrived at the Composer's Abyss and had crossed the portal. However, the Didact considered the Spartans' actions inconsequential and decided that he would welcome them to "his world". After Blue Team arrived at the Composer's Forge, the Didact confronted the Spartans, who opened fire, to no avail; the Didact stomped the ground, generating a shockwave that caused the Spartans to stumble and fall to the ground. The Didact then summoned an army of newly-created Promethean constructs to battle the Spartans. While Static Carillon fulfilled its end of the bargain, transitioning Installation 03 over the Composer's Forge, it also turned on the Didact as he had violated his side of the bargain by bringing Prometheans to its installation. The Didact departed for the portal, planning to repair the Halo and use it against Earth; he also took one of the Composers from the Forge and transported it to the Halo. The Spartans followed in close pursuit, assisted by the betrayed monitor. Back on the surface of Installation 03, the Didact confronted Blue Team again, intending to kill them once and for all. However, John-117 managed to stab him in the eye with a combat knife in a surprise attack. Bemoaning his refusal to kill the Spartan when he had the chance before, the Didact lifted the Master Chief off the ground in retaliation and crushed his helmet. The Promethean quickly halted the other Spartans' efforts to save their comrade and knocked them all to the ground. Before he could finish them off, however, Static Carillon attacked the Didact from behind and teleported him to the Halo's Control Room. John-117 soon arrived in the Control Room with the ring's Activation Index and confronted the Didact; the Spartan explained that because the Didact could not be killed by conventional means a different approach must be taken. The Didact became puzzled when John inserted the Index into the Core; he asked why the Spartan would fire the ring just to eliminate him. John informed the Didact that he did not activate the ring's weapon, but instead disabled its safety protocols; this allowed the monitor to eject a large section of the ring containing the Control Room toward the Composer's Forge. The monitor rescued the Spartan while the Didact was subjected to the Composers' effects, disintegrating his body but storing his essence in digital form; John later told Fleet Admiral Terrence Hood that he believed the Forerunner was merely "contained", not dead. [note 2] By 2558, the Office of Naval Intelligence was still vigilant about any sightings of the Didact, advising that any sighing of him must be reported to ONI inmediately. In July, 2557, 343 Guilty Spark, formerly the human Chakas who once helped release the Didact from his first exile, learned from Catalog that the Didact had tried to access the Domain, but had been denied access by the ancilla. On September 1, Spark met with a personality imprint of the Librarian beneath Mount Kilimanjaro. The Librarian told Spark of the awakening of herself and the Didact on Requiem, but did not go into detail. Spark asked if the Didact was alive, only to have the Librarian's expression grow forlorn. Though the Librarian did not verbally respond, Spark deduced that the threat from the Didact was "not worrisome." Before they parted ways, Spark recognized that the Librarian's deepest desire was still for the Didact to find peace and asked her if it was possible. With great sorrow, the Librarian told Spark that she feared that her husband was beyond redemption. 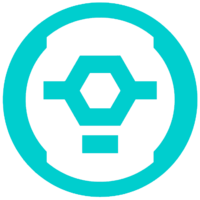 The original version of the Didact's personal symbol, later adopted by the IsoDidact. "Humans drowned out entire civilizations with the Flood. They brought this horrific parasite to our people. Had we acted quicker, had we taken what was rightfully ours, we could have cut off the infection at its source. Know this: the universe will now be turned star by star, world by world, organism by living thing, into even more of a tortured mockery than it already is. Look what it's done to me! Everything it touches is afflicted with madness. It has touched me. I am myself mad!" — The Ur-Didact to the Librarian when the two reunite on Nomdagro. The Didact was a highly experienced and powerful warrior, a result of his millennia-long career as a Promethean. Before his corruption by the Gravemind, the Didact was a noble and sensible figure. He adhered strictly to Warrior-Servant precepts and traditions, and fiercely opposed anything that clashed with his ideals. This was the reason for his opposition to the Halo Array, as he viewed the weapons as an affront to everything the Mantle stood for. He was a follower of the Warrior-Servants' interpretation of the Mantle, believing that defying the Forerunners was to show contempt for the Mantle itself. While he believed that the Mantle accepted everyone, even contemporary humanity who conquered other species, this did not change his condemnation of such actions or the strong resentment he felt toward humanity. Although he generally demonstrated a stoic and calm disposition, the Didact could also be quick to anger if provoked. After encountering the Gravemind, the Didact underwent a drastic shift in his personality. He became much less rational, his psyche distorting to the point of insanity. As part of its ploy to turn the Didact against his former allies, the Gravemind took advantage of his existing motivations, convictions and prejudices, most notably his opposition to the Halos and antipathy toward humanity, making these characteristics significantly more pronounced. Developing a belief in absolute, unconditional Forerunner supremacy, he concluded that the early Forerunners' violent seizing of the Mantle from the Precursors had been justified and that the Forerunners should mercilessly eliminate any species who might challenge their dominance in the future. He began to desperately pursue brutal and unrealistic strategies, such as creating his army of Promethean Knights, an obsession which eventually drove him to composing Omega Halo's human population; the irrational cruelty of this act finally convinced the Librarian to imprison him. While the Didact believed that his schemes would bring about a new age of primacy for the Forerunners, in actuality he was only working to the Flood's advantage by generating additional suffering and chaos. When first meeting with Bornstellar, the Didact viewed the Manipular as foolish and naive, cursing him for waking him from his hibernation, but over the course of their travels, he would begin to share some of the wisdom gained as a result of his experience, effectively becoming a mentor figure to the young Forerunner. This continued even after the two had been separated, with the Didact's imprinted consciousness offering his view on various matters and making occasional wry comments to Bornstellar, until fully subsuming his consciousness in order to continue the original Didact's work as the IsoDidact. By the time the two reunited years later, their relationship quickly became much less amicable, in particular due to the IsoDidact's acceptance of the Halo Array as a final option. The one hundred thousand years the Didact spent locked away in meditative hibernation on Requiem did nothing to heal his damaged psyche, or soften his grudge against humanity. Upon being reawakened by John-117, he remained as determined as ever to ensure Forerunner supremacy, and resolved to compose the entire human race to finish what he started all those ages ago. However, his rage and overconfidence in his abilities led to his defeat at the hands of the Master Chief twice, the first time leading to his fall into a slipspace portal, and the second leading to his physical body being destroyed by the Composers; the very device with which he had planned to enslave humanity. "Humans are naturally purists. They resent having to live with other species. In fact, they're among the most contentious, bigoted, self-centered... I never understood how my wife tolerated them." — The Didact on humanity. The Didact was considered in his time to be the supreme enemy of humans, viewing mankind as a grave threat to Forerunner peace and considering them to be extremely contentious, bigoted and self-centered. However, in his own mind this animosity was not driven by hatred or malice; rather, it was a largely rational reaction to humanity's actions. After his encounter with the Gravemind, his attitudes became much more extreme and he opted to wipe out humanity entirely as a potential threat to the Forerunners' supremacy. This new stance, combined with his desperation to stop the Flood, was behind his heinous actions toward the end of the Forerunner-Flood war. Prior to his transformation, while dismissive of the potential for humans to take on the Mantle, the Didact also respected humans as warriors and regarded them as honorable, unlike their San'Shyuum allies who had surrendered earlier in the war. In fact, he regarded them as the second greatest military power in the galaxy at the time. His respect for the humans was demonstrated when he met with his main opponent, Forthencho, the Lord of Admirals, in person after the humans' defeat, speaking to him as a fellow warrior and reassuring him about the future despite humanity's grim predicament. Furthermore, prior to being imprisoned after his fall from grace in the Ecumene Council, he stated that had the humans repented for their crimes, they would've been a civilization worthy of joining their own. Though disgusted to see Chakas as he looked too much like the humans who had nearly destroyed his fleets and murdered his children, the Didact was pleased to see Riser, a Florian. The Didact commented that he had specifically requested that the Librarian save the Florians because he saw them as peaceful yet full of cleverness. However, the Didact made it clear that this just made them worthy pets to him. The Didact also regarded John-117 with some grudging respect for his determination and persistence in fighting him against impossible odds. While he understood humanity's motives for aggressive expansion after studying their records of their struggle with the Flood, the Didact agreed with the Old Council's decision to eradicate the contemporary human civilization and banish the remnants of the species to their homeworld, as he felt that the humans had wrongly taken the Mantle upon themselves in their attempts to contain the Flood. The Didact also held that the Forerunners were more deserving of the Mantle than humans because of the latter's propensity for finding objects of worship in nature and in Precursor artifacts, whereas the Forerunners had always derived their beliefs solely from the Mantle. The Didact's antipathy toward humans was at least partially curtailed by the Librarian, who was, in stark contrast, regarded as humanity's greatest protector. Despite his love for her, the Didact was incapable of understanding his wife's protectiveness toward humanity, and resented her efforts to keep the humans safe from his justice and retribution. The Ur-Didact appeared to regard Chakas and Riser, the two humans who accompanied Bornstellar, with relative indifference, viewing them as mere annoyances, though he tolerated them because they were part of his wife's plan and because he likely recognized the value of their personality imprints. When Bornstellar became annoyed with the Didact's way of referring to the two as Bornstellar's humans, the Didact grudgingly adjusted his method of address for them. However, he was less than pleased initially at Chakas' form as it reminded him too much of the ancient humans who had cost the Didact so much and stated that Chakas' presence provoked him as a result. The Didact's powerful stomp stunning Blue Team. As an immensely powerful Forerunner with incredibly advanced technologies at his disposal, the Didact has a number of extraordinary abilities. He has the capability to generate and manipulate powerful constraint fields at will, in effect granting him the power of telekinesis to restrain or physically harm his opponents from a distance. [note 4] This was demonstrated when he used this ability on John-117, immobilizing him and causing him to float helplessly in the air, before throwing him against a wall. Later, during the final confrontation aboard Mantle's Approach, he used this ability to physically torture the Spartan, who was only saved by Cortana's intervention. He can also use the fields to levitate himself to some extent. Several times, the Didact was able to address John-117 telepathically, though Cortana failed to hear anything or pick up any transmissions. The Didact was also capable of generating a shockwave by stomping on the ground. While at the Composer's Forge, the Didact used this ability to cause SPARTAN-II Blue Team to stumble to the ground. Later during his battle against the Spartans, he generated a powerful linear energy blast to disable Kelly-087. The Didact's armor adapts to Blue Team's weapons. The Didact possesses extraordinary neurological, mental and physical abilities bestowed by his senior Promethean form. One of these is the augmented state of perception known as "battle mode", splintering his perception of reality into several variable frames of reference with a slowed-down experience of time, granting him impressive multitasking abilities. In hand-to-hand combat, he was capable of matching SPARTAN-II reaction times and was able to easily slaughter a fireteam of them without weapons. Wearing his armor, he was capable of crushing a Z-180 Scattershot in his hand and severely damaging John-117's helmet, as well as throwing the MJOLNIR-armored Master Chief several meters through the air with force significant enough to knock another Spartan to the ground. The Didact adhered to the long-standing Warrior tradition of sharing all knowledge with his command staff of dozens as well as their ancillas; indeed, he remarked that he was out of his element when working alone, preferring to have an expert crew with him at all times when leading operations. During large-scale engagements, the Didact would also tap into the sensory input of thousands of his fellow Prometheans simultaneously and experience the battle from their respective viewpoints in addition to his own. His memory is also incredibly accurate; while stranded on the Builder hulk in the Burn, he was capable of reciting a verbal control code comprising 400 random nonsense words and non-integral numbers after thousands of years and without the aid of an ancilla. After undergoing an experimental mutation in an attempt to become immune to the Flood, the Didact gained a new form that, while still susceptible to Flood infection, was no longer compatible with the Composer, thereby preventing him from joining his fellow Prometheans as a machine and allowing him to willingly levitate himself within a Composer's active beam without being affected at all. However, his incompatible physiology was not enough to save him from being composed by the simultaneous firing of several Composers. Like Warrior-Servant armor in general, the Didact's personal armor was designed to attune itself to enemy weaponry; this allowed his armor to become virtually invulnerable to numerous successive hits from Forerunner infantry weapons. The Didact can also manipulate the architecture of areas under his control, such as within Requiem or his ship. For example, he disintegrated a wall John-117 was taking cover behind, and later manipulated the platforms inside a tower on Requiem to hinder the Master Chief's progress. He has direct control over his mechanical Promethean armies, and was capable of returning them to his command with a mere gesture. The Didact's former form clad in full armor. A full-rate Promethean, the Didact is a physically imposing figure; standing 350 centimeters tall, he easily towers over a fully-armored SPARTAN-II. In comparison to other Forerunners, he stood nearly twice a Manipular's height and weighed four or five times as much. 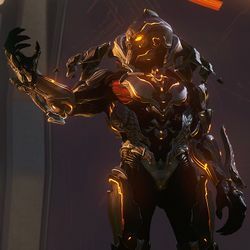 As was common with Forerunners of his rate, the Didact has six-fingered hands with two opposable thumbs and heavily muscled limbs (Bornstellar Makes Eternal Lasting believed that he could easily have crushed a human with his bare hands). 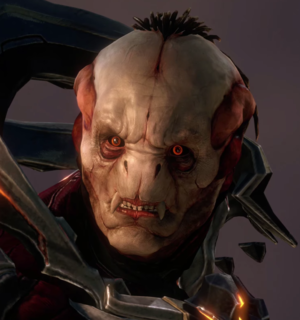 In his original form, the Didact's skin was grayish-pink in color and he had patches of bluish-white fur on the top of his head and shoulders, as was common with Warrior-Servants. He had strong, serious facial features and deep-set, gray eyes. The Didact's new form clad in new full armor. The new form assumed by the Didact near the end of the Forerunner-Flood war, caused by a failed attempt to decipher Flood immunity, had a more grotesque, bestial appearance, with more pronounced facial features, much less prominent lips and the addition of large fangs. His eyes also became more deep-set and red as opposed to the original grayish blue, and his fur changed from pale blue to dark brown. The Didact's original body-assist armor complied with Warrior-Servant tradition in both design and coloration; bearing the mottled gray and blue colors of a Warrior-Servant, the suit was, despite its wearer's lofty status, considered austere in contrast to more lavishly decorated armor worn by the Builders. Circa 100,000 BCE, the Didact began wearing a new combat skin upon his return to Nomdagro. The Didact continued to wear this armor until the suit's apparent destruction in 2557. In stark contrast to his prior armor, the Didact's newer suit is prominently ornamented in contrast to more subdued armor usually worn by his rate. It is composed a number of silver armor sections with complex patterns of orange light. The bodysuit, which spontaneously adheres to the body, is colored black and dark red, resulting in an appearance similar to exposed musculature. The helmet of this armor suit appears to be modeled after a skull, with orange "eyes" rather than a visor, as well as a small breathing port on the nose. French Le Didacte in the Forerunner Saga and in Halo 4. Spanish El Didacta in the Forerunner Saga and in Halo 4. Check out our collection of quotes related to Ur-Didact in its quotes page. The Didact's symbol as seen in the final terminal of Halo: Combat Evolved Anniversary. The Didact is voiced by Keith Szarabajka, known for his role as the voice of Harbinger in Mass Effect 2. Szarabajka also voiced Dr. Cameron Alexander, a scientist in Spartan Ops Episode 4 Chapter 5. The Didact is the main antagonist of Halo 4 and the third story arc of Halo: Escalation, "The Next 72 Hours". At the time of Halo 4's release, it was stated he would become a pivotal character in post-Halo 4 media, though the significance of this statement is unclear. He was originally planned to have a role in Halo 5: Guardians; at some point during the game's development, however, he was deemed to have become "extraneous" to the story. "The Next 72 Hours" was subsequently written to explain his absence from the narrative of Halo 5: Guardians; according to writer Brian Reed, the manner of his removal from the story would still allow 343 Industries to use him as an antagonist in later media if they so chose, as the franchise was considered to be lacking in recurring villains. The Composing A Universe featurette included in the limited edition of the Halo 4 Soundtrack includes a scene paying tribute to the memory of deceased voice actor David Anthony Pizzuto, who can be seen performing a sample of the Didact's dialogue. The sample is an alternate version of the Didact's awakening seen in the final game; in the sample, the Didact first recognizes and assesses a Sangheili devotee he assumes to be responsible for his awakening, only to discover it to be the work of a human instead. Whether this was only an audition reel or if Pizzuto was actually cast for the role of the Didact before his death is unknown. Before the official confirmation that the Didact was to be the antagonist of Halo 4, a number of sources made several suggestions that this may be the case. Near the end of Origins, Part 1, the Didact's empty armor is seen being placed into storage by another Forerunner after the activation of the Array, with his body nowhere to be seen; however, as this is based on the semi-rampant Cortana's interpretation of the available data, it is possible that such an event never really occurred. In the final terminal of Halo: Combat Evolved Anniversary, 343 Guilty Spark wishes that the Didact and his Prometheans would return to put humanity in their place, and the Didact's symbol flashes momentarily. 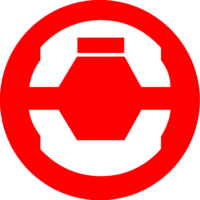 However, the symbol is the original version seen in the Halo 3 terminals as opposed to the more simple "unbound" variation featured in Halo 4. Additionally, there are hints throughout Halo: Primordium that humans are once again faced by the Didact; most prominently in the very end of the novel. Finally, the Didact's unbound symbol appears in the Halo 4 Cinematic Trailer, in which the icon is shown overtaking the UNSC Infinity's monitors while a wave of orange light scans throughout the ship. The icon is later seen turning over in the end of the trailer, superimposed by the text "An ancient evil awakens," while a then-unidentified voice, later revealed as belonging to the Didact, is heard saying "I have long dreamt of this day, Reclaimer." A centuries-long series of conversations between the Didact and the Librarian can be found in Forerunner terminals in Halo 3. When the terminals are accessed, the player is eventually moved to a conversation that was recorded before the Halo rings were fired. The Didact's last words to the Librarian moments prior to the Array's activation are featured in the Iris campaign Server Episode 1. However, as later revealed in The Forerunner Saga and Halo 4, the Didact in the terminals is actually the IsoDidact as opposed to the Ur-Didact, as the latter had already been imprisoned by the time the rings were fired. The title Didact is a back-formation of the word didactic, which means to instruct others, especially with regard to morals. In Halo: Cryptum, the title is established to have originated from his tenure as a teacher in the Forerunners' War College. His title also coincides with the responsibility the Librarian planned for him once he would awaken from his meditation, teaching and instructing humanity about the Mantle. The "Ur" prefix means "proto-" or "original" in German, alluding to him being the original incarnation of the Didact. In his entire military career he was captured three times. 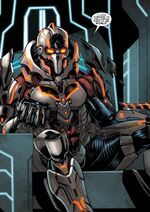 The Ur-Didact's armor in Halo 4 bears a striking resemblance to that of the Marvel Comics villain Ultron as depicted on the cover of Annihilation: Conquest #5. In Halo 4, the visor slits on the Didact's helmet do not match up with his eyes, rather lining up with his brow. This can be seen clearly in his introductory cutscene. 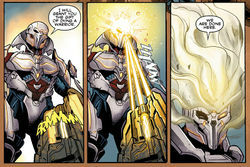 This is a production error as his right eye is stabbed through the visor in Halo: Escalation Issue 9. Halo 2 Anniversary contains a hidden plush toy of the Ur-Didact, along with several other characters, as an easter egg. The dolls are also featured in the Halo 5: Guardians Forge mode, in which the description for the Didact toy interestingly reads Not all visitors to the Domain are strangers. The Ur-Didact's unbound symbol appearing as he hijacks the UNSC Infinity in The Commissioning trailer. Concept art of the Didact's head. John-117 facing the Ur-Didact in the Scanned trailer. Concept art of the Didact's armor for Halo 4. Early Halo 4 concept art of a more mechanical Didact. Concept art of the Ur-Didact's face. Armorless look at the Ur-Didact's face. Three-dimensional model of the Ur-Didact in armor. Three-dimensional model of the Ur-Didact in armor, with and without his helmet. The Didact in his original armor in the Council chamber. Closeup of the Didact in armor. The Didact, guarded by Warrior-Servants, striding toward the bridge of the Lord of Admirals' flagship. The Ur-Didact awakening after leaving his Cryptum on Requiem. Detail of the Ur-Didact's most recent armor. Detail of the Ur-Didact in his newest armor, front view. Detail of the back of the Ur-Didact's armor, back view. The Ur-Didact in the final fight aboard the Mantle's Approach. The Ur-Didact moments after slaying Black Team. The Ur-Didact commanding his Prometheans. The Ur-Didact observing while Blue Team is fighting off Prometheans. The Ur-Didact, with a combat knife in his right eye, crushing John-117's helmet. The Ur-Didact and John-117 in Halo Mythos. ↑ In the epilogue of Halo 4, the Didact is heard giving a speech on the Forerunners' place in the galaxy and the Mantle; going by his tone, he appears to be addressing a group (perhaps a court) of his fellow Forerunners. This speech is heard overlaying scenes set after his attack, although it is unclear whether it is actually occurring in real-time. A 343 Industries employee (posting in the guise of Catalog) stated that the speech in question is actually part of legal proceedings that took place prior to the last contact with the Domain, and thus before the Halos were fired. Despite this, some of the Didact's statements appear to correspond to his actions in the modern era. He speaks of his "sin of ensuring Forerunner ascendancy" which corresponds to his attack on humanity. While he carries out similar actions 100,000 years prior in Halo: Silentium, the events of the novel would not leave an opportunity for a scene of him standing before a tribunal of any kind (with the Forerunner government all but disbanded following the destruction of the greater Ark). He also mentions that "the Reclamation has already begun", which would correlate with humanity's position as of 2557 while seeming out of place in 100,000 BCE. Catalog replied to the resultant discussion with the comment "Statement was not in error. However, Catalog does note difficulty in interpreting Shadow-of-Sundered-Star's commentary. Currently under review due to multiple sources of authority." Catalog later stated that "Shadow-of-Sundered-Star's speech proved to be more complex than was immediately apparent, touching on [skeins] that [never were]. It is [suasoria]." ↑ In a forum post on NeoGaf, Frank O'Connor told a user with a Didact symbol as their avatar to rotate it into its "unbound state", implying that the Didact icon seen in Halo 4 trailers is said "unbound" variation of the symbol. ↑ The Didact's telekinesis-like ability has not been officially identified as a constraint field. While not used in the same manner as the constraint fields described in Halo: Cryptum, it has been assumed that the Didact's abilities are based upon the same or a related technology. ↑ Halo: Cryptum, page ??? ↑ Halo: Silentium, page ??? ↑ Halo 5: Guardians Forge Didact toy description: Not all visitors to the Domain are strangers.